Imagine a time before the Beatles.... a simpler time when the biggest problem for a teenager was coming up with gas money for cruising Main St. A time when the love of the automobile went above the norm, and became a passion. This passion was on display in armories and arenas around the country. 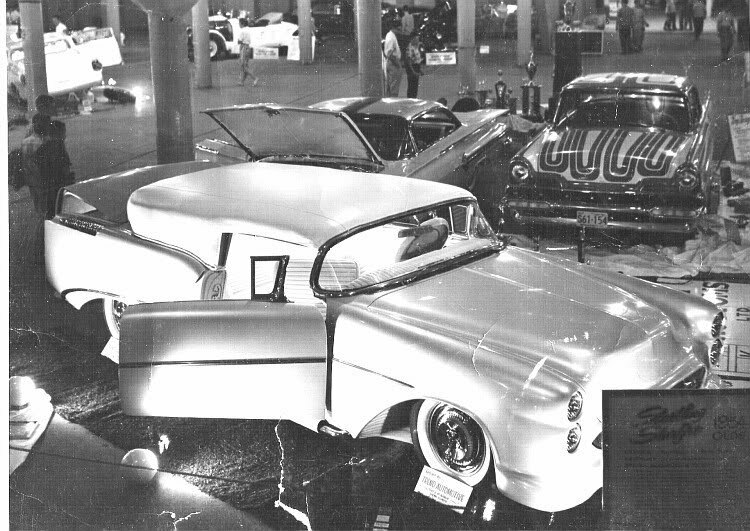 The latest customizing techniques were brought to the rod and custom shows and put on display for the masses to see. This is what the Retro Rewind brings to Dubuque. Period correct cars, trucks, and cycles. Here is a shot from 2014 Retro Rewind. Entry for vehicles (2 wheel and 4 wheel) are by invite. If you wish to be a part of the Retro Rewind, submit photo of your ride to vintagetorque@gmail.com. A jury of 5 different individuals/car clubs will make the decision if the entry is right for the show. Romin Chariots CC from Blue Island IL, Outsiders CC of Iowa, John Wells (event coordinator), Voodoo Kings, and Wisco Maniacs are members of the jury. Please keep in mind this show is an attempt at creating a specific time period. 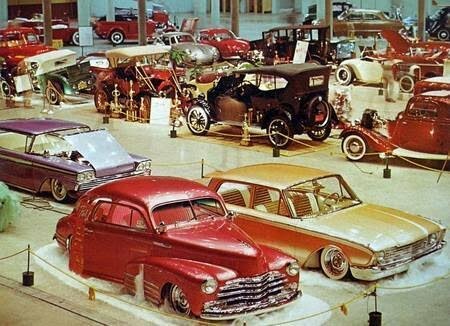 This was a time when guys would enter a car into car shows with finished interior, no primer, and definitely no rust. We DO make exceptions for survivors. Mileage Money: 50 cents per mile up to 200 miles for trailered cars. Motorcycles 25 cents per mile PER motorcycle. Please email vintagetorque@gmail.com for mileage money details. Stanchions will be provided or car owner can bring their own. Electric is available from Five Flags - cost is $25 for drop to your location. All entrys are to have less than 1/2 tank of gas. Tape will be placed on all gas tanks on all vehicles. No engines can be started during the show. Each vehicle accepted will be given 2 passes for the Cars and Guitars and Fuel Injected Film Festival event. Headline act on Saturday night will require ticket purchase. TROPHIES - Retro Rewind does NOT give trophies. Car Club Picks - If your car club wants to present a pick, we give the opportunity to get on stage and present your pick. This happens before the pin up contest. TRAILERS: Trailer parking will be down by the casino, 1/2 mile away. We can provide delivery service to and from trailer parking on Friday setup and Saturday after the show is over.